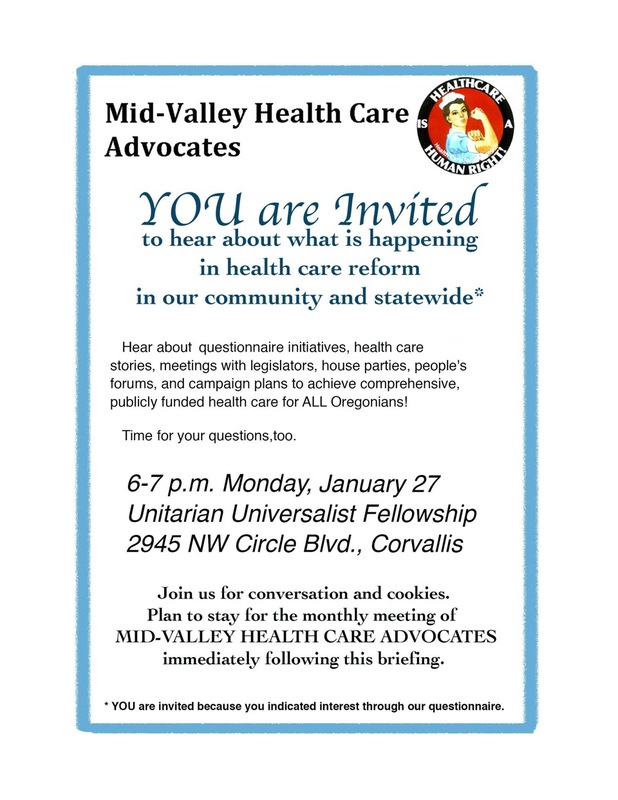 Mid-Valley Health Care Advocates will hold its January meeting this coming Monday, January 27, at 7 pm at the Unitarian Universalist Fellowship. You are also invited to attend an orientation between 6pm and 7pm to learn about local and statewide efforts toward health care for all Oregonians. Come, get involved, and join your voice and energy with other advocates! Remember to keep in touch with Mid-Valley Health Care Advocates through our website, mvhca.org, for interesting articles, calendar of events, etc. And we’re now on Facebook and Twitter!